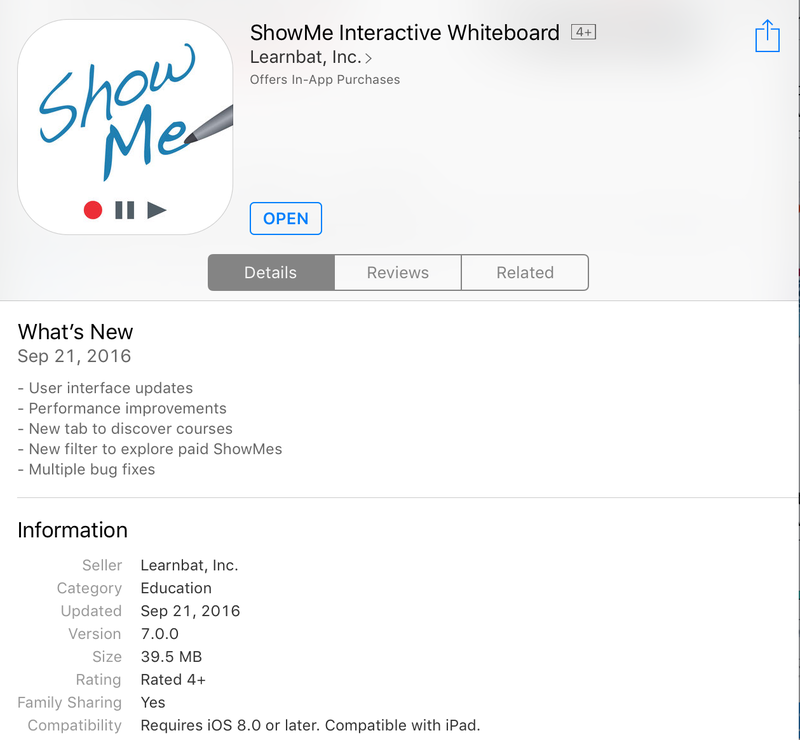 Get as excited as your students for the newest update of ShowMe! We had you in mind with our 7.0 version, with performance improvements, easy explore filters, and best of all, a paid feature! It is now easier than ever to use, as we continue to build a platform for teachers to share and grow as revolutionary educators. Our look and feel now provides an even better user experience. Never lose another ShowMe with our autosave function, easily search and create courses, and make money for the work you have already shared across the world. ShowMe stands above other similar apps because of the community every user helped form. We celebrate every teacher for their collaboration, you have helped build a foundation to share ideas and content across the world. After all, we teachers definitely know how to share (just ask Pinterest or TPT.) We are proud to provide a new way to keep sharing the love by getting paid for the great work you already do. Simply go to the App Store and install our newest version. Enjoy exploring the new streamlined look, utilize courses to have meaningful interactions with every student, and start buying and selling great ShowMes. Continue supporting each other and our students of all ages. We are proud to continue to be an effective tool in classrooms across the globe, and will always strive to improve and grow with the passion of over a 10 million users. For an overview of the new paid feature, check out this quick tutorial!